Let me start this review by saying that the third series of Marvel Zombies will not be the last. Anyone who reads comic books is hardly going to be surprised that Marvel are not going to kill off one of their cash cows (i assume that Marvel Zombies 3 has done comparable business to Kirkmans initial foray and its sequel). The fact that they have managed to build up a level of excitement (as far as I am concerned) for the next installment is a tribute to what Marvel are trying to do here. So what do I think they are trying to do with Marvel Zombies? I think they are now using the success and recognition of the title as an opportunity to give a run out to some of the B and c list Superheroes in the Marvel Universe. 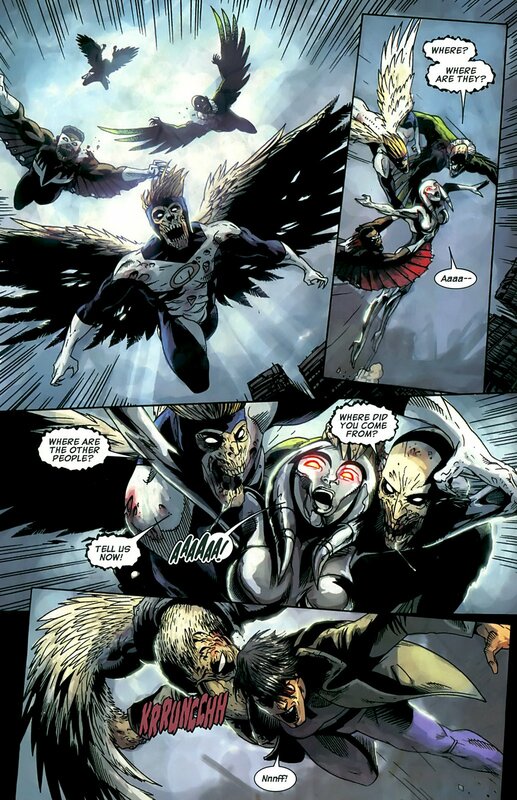 In Marvel Zombies 3, it has done a great service to Jocasta and Machine Man as the central characters and heroes. Machine Man has been a revelation to me, as he has been showcased as an all-out action hero with elements of Schwazeneggers invincibilty and Willis’ humour, along with a formidable body-as-weapon arsenal. It worked for me. Jocasta, also, flourished in a role where nothing but desperate actions on her part would secure Earths survival. Throughout this series in particular, without the novelty of seeing the big guns ‘zombiefied’ (Captain America, Iron Man, Wolverine etc), those Zombies that have been present have taken less prominence. The tone of the title has changed. However, there are still a lot of characters that they can play around with who provide entertainment (Black Bolt, Lockjaw, Kingpin – Kingpin in particular has a great scene towards the end of issue 4). 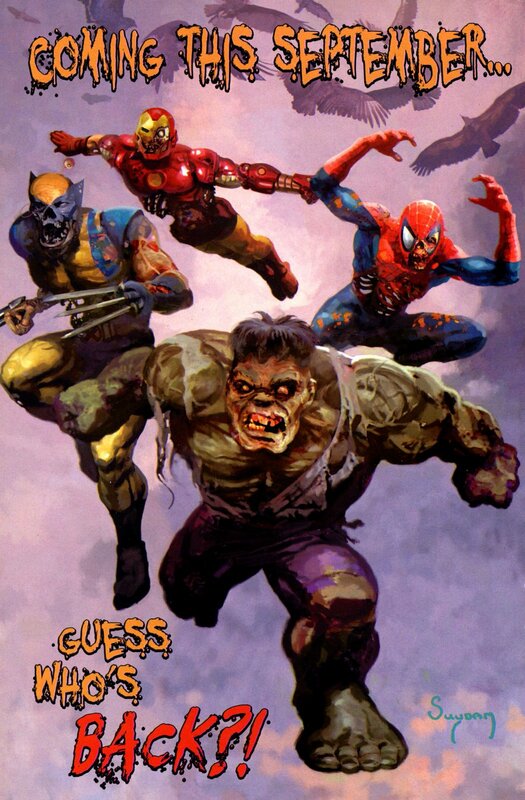 Whereas the focus of 1 & 2 was on the perspective of the Zombies and their hunger driven devastation of worlds, Marvel Zombies 3 has been about how Heroes have tried to combat the threat. So the title ends with the exciting build up to part 4. With Machine Man and Jocasta exiting stage left, Morbius steps up to the centre stage full of purpose and revenge and bringing with him a tantalising supporting cast. This is where my point about showcasing the lesser known heroes is clearly illustrated; does anyone want a new title starring the ‘Midnight Sons‘?? Probably not. Will people read Marvel Zombies 4, starring the ‘Midnight Sons’? Probably. It is another High Concept; ‘Monsters vs. Zombies’. This one, has a good feel to it. As a standalone issue, the fourth and final issue had maintained the fun, fury, action and gore of the previous three issues. As a series, Marvel Zombies 3 managed something that I thought would not have been possible when I heard of its inception – it managed to be as good as the Kirkman titles previously in the series. Great writing from Fred Van Lente and Kev Walker got the art spot on with a visceral, humourous style. Let’s hope that ‘4’ is an equal to those that have gone before it.